FS2002 FS2004 BAe Hawk200 Mk208. The Hawk 200 series is a single seat, radar-equipped, lightweight, multi-role combat aircraft. This model is Type Mk208 of Royal Malaysian Air Force (Tentera Udara Diraja Malaysia. TUDM). This File are included three kinds of model (Clean with Pylon and Tank Full Weapon). by Kazunori Ito. 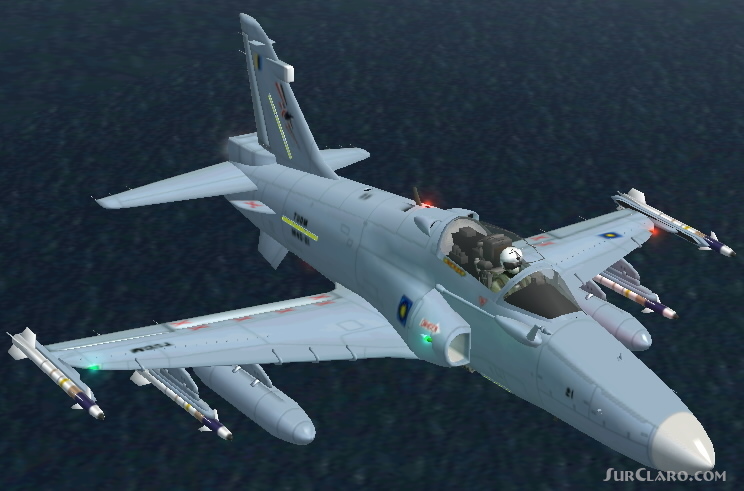 FS2002 FS2004 BAe Hawk200 Mk208. Rating: 9.00 of 10 over a total of 4 reviews.